Extending back thousands of years, Chinese Medicine offers a rich heritage and history in healthcare and healing. And that quality, that continuum of care lives on today. Offering a root-level attack rather than a symptom cover, Chinese Medicine provides an added layer of patient safety. You see, it carries fewer or no side effects, treats the actual cause of illness rather than suppressing the symptoms, and provides a more affordable treatment option. Should you decide that chinese herbs are right for you, there are 3 unique steps to wellness. However, the rate at which you move through these stages depends on your unique situation. A good rule of thumb is one month of care for every year you have had a certain medical condition. During this stage, we are concerned with alleviating the symptoms causing you to seek care. Once your symptoms are relieved, you will move on to Step 2, Corrective Care. Think of replenishing an overgrown garden. The first step in cultivating the space is to cut back excess growth and weeds. Your symptoms are very much like the weeds. In order to restore your health, we must also determine the underlying cause of your illness, rather than simply addressing the symptoms. This involves a second herbal formula uniquely positioned and carefully prescribed to address the root of your concerns. Often, the second treatment phase lasts for two to six months. The final phase of your care includes Maintenance Therapy. 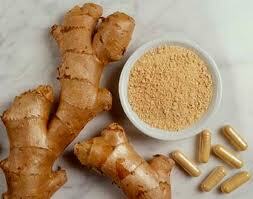 We will prescribe formulas to keep your immune system strong and healthy, so it will protect the body as it should. The final phase of treatment is ongoing. In our analogy, this means the soil of our reclaimed garden is fertilized and treated to prevent the return of weeds, while building a healthy foundation to support the growth of beautiful plants and flowers. What this means for you is that your overall health is protected by Chinese herbs, just as the garden is protected and allowed to thrive.